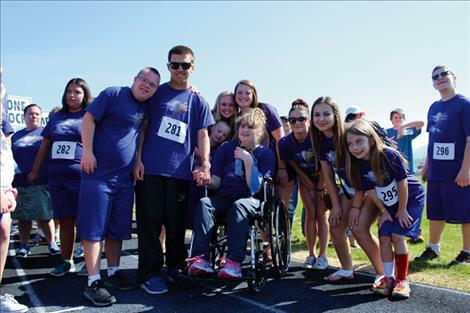 Purple dominated the track during the Special Olympics event. 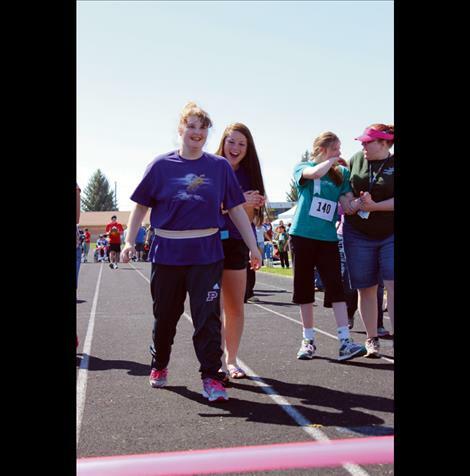 Melesa Butler pins on Victoria Niblack’s first-place ribbon for the 50-meter run. 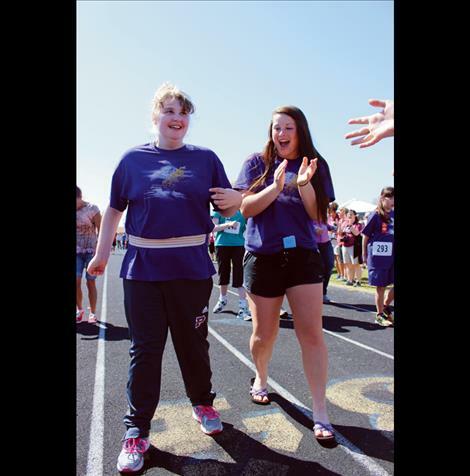 Team members share the joy of victory. 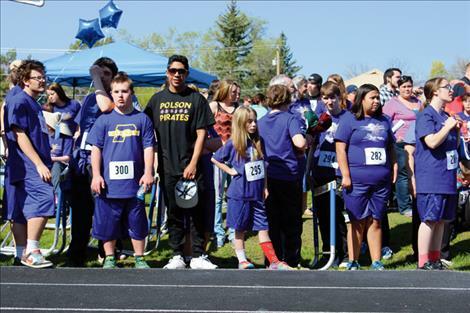 MISSOULA – A sea of purple and smiles lined the track in support of the Polson Pirate Special Olympic team in Missoula on Wednesday, April 20, as student athletes finally got their chance to compete after weeks of practicing. 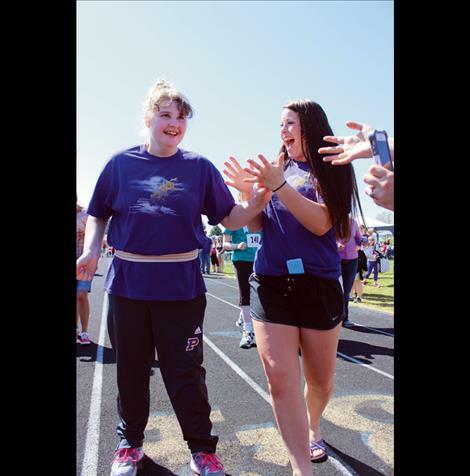 Special Education Teacher and Assistant Coach Melesa Butler was more than happy seeing her competitors get personal bests. 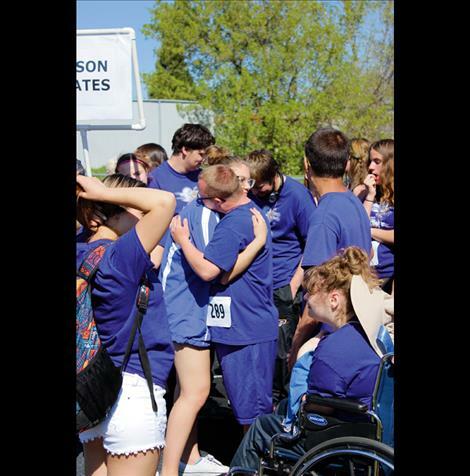 Butler, who was waiting at the finish line as athletes completed their races, said that many of these students overcome something during the weeks leading up to the Special Olympics. 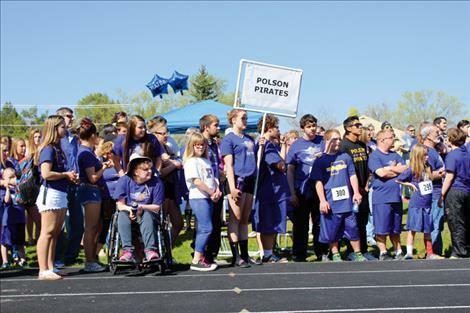 The Polson Pirates competed in track, bocce ball, and swimming throughout the Special Olympics event. 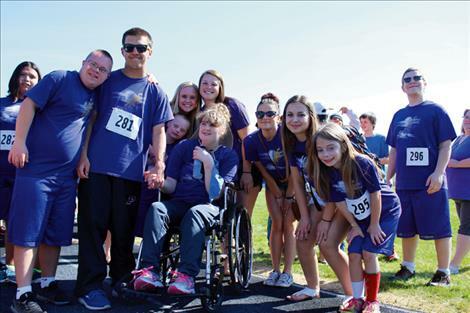 One of these athletes was freshman Rakeena Caye, who dominated the track. 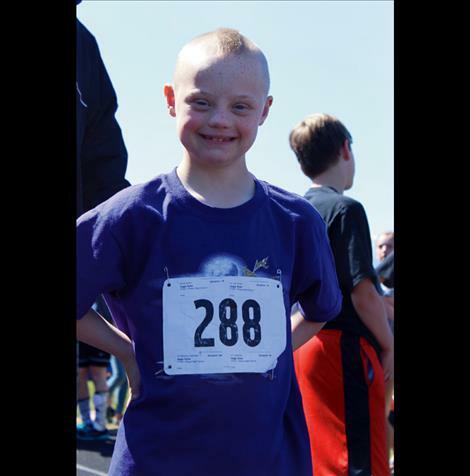 Caye placed third in both the 100-meter walk and 50-meter run. 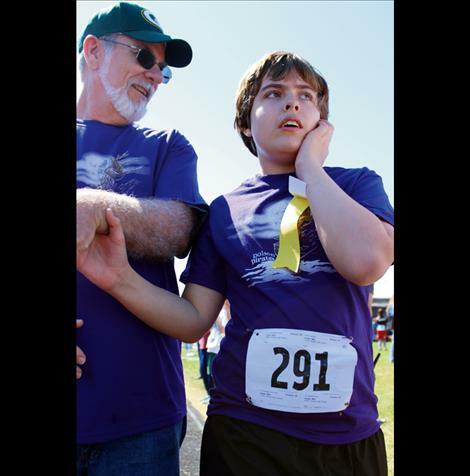 Other athletes that took command of the tar were Victoria Niblack and Martin Schlensker, who both placed first in the 100-meter and 50-meter run; Cody Merritt, who placed first in the 25 meter walk; and Fayth Loveless, who placed first in the 10 meter assisted walk and 25 meter walk. 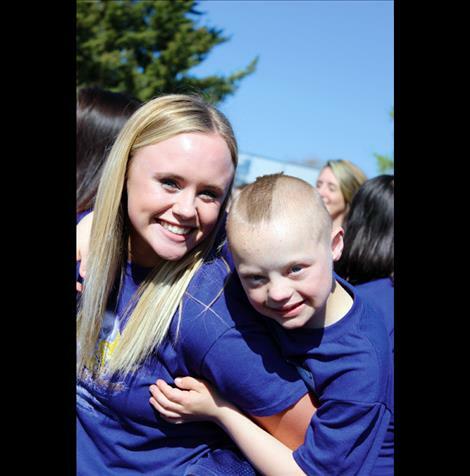 Schlensker qualified for State, which will take place in Missoula starting Tuesday, May 17. 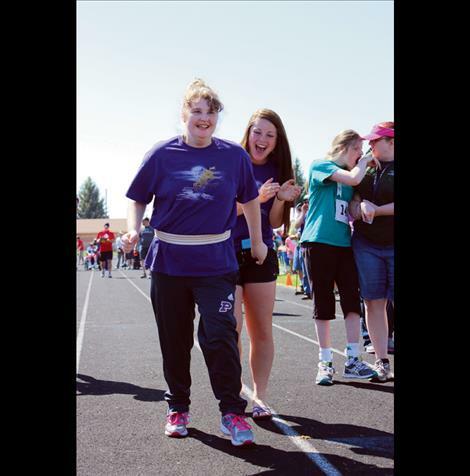 Junior Jenna Evertz assisted the athletes. 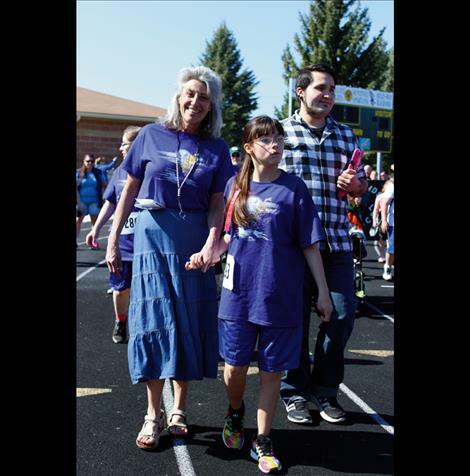 Evertz said she has enjoyed helping kids in special education since she was in middle school. 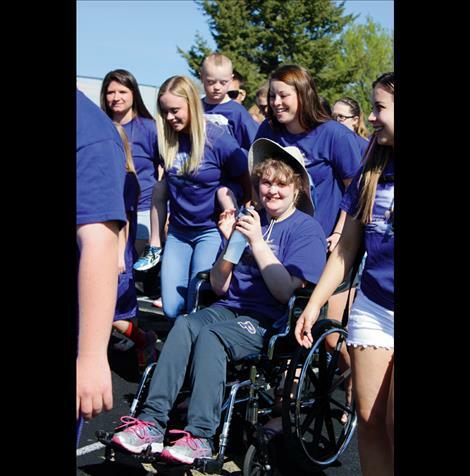 Evertz wanted the entire Polson High School student body to be a part of Special Olympics that she put together a pep bus for students in good standing. 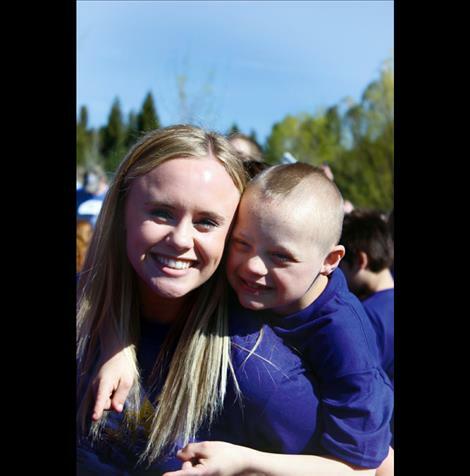 The students got the chance to spend the day with and support the Polson Pirate Special Olympic team. 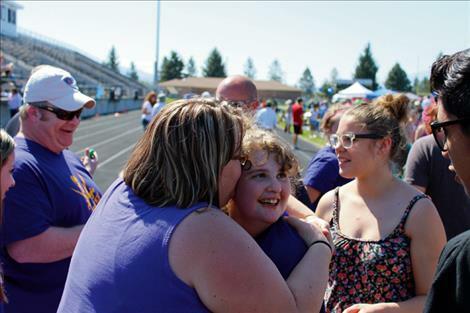 There were many people helping the Polson Pirates and Anne Loveless, mother of one of the athletes, was all smiles watching the Polson community come support.